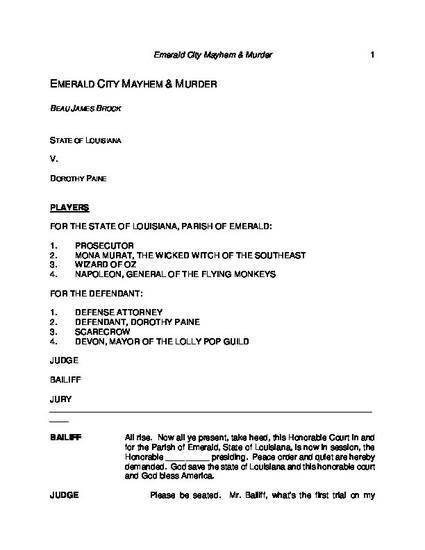 This skit is a fictitious trial of Dorothy for for murdering witches in Emerald City. It is an educational tool for schools to use in conjunction with Civics class for Law Week activities. It is a complete mock trial skit with roles for an entire class to play either parties, lawyers, court officials or jurors. The skit will last approximately 25 minutes when performed and with discussion afterwards will fill 45 minutes to an hour.